How to Make the Most of Paid Reach. Paid reach is the way forward, but how can you manage this efficiently? It’s not the end of the world, but it’s certainly the end of an era. Organic social marketing just doesn’t work on its own anymore. The powers that be have limited brand reach on all the big social networks, and as much as I hate to state the obvious, here it is: marketing is about engaging your audience with the right message, so if your fans aren’t even getting your message, you can’t market to them. Luckily, paid reach is finally out of the closet, and it means big business. The landscape of social media marketing is shifting to accommodate the importance of paid advertising, and you can’t afford to be left behind. Paid advertising now accounts for 83% of marketers social media spending2 and, according to a recent study, 84% of marketers have now fully integrated social media with their traditional marketing activities. In short, offline is shifting to digital, and digital is shifting to paid reach. 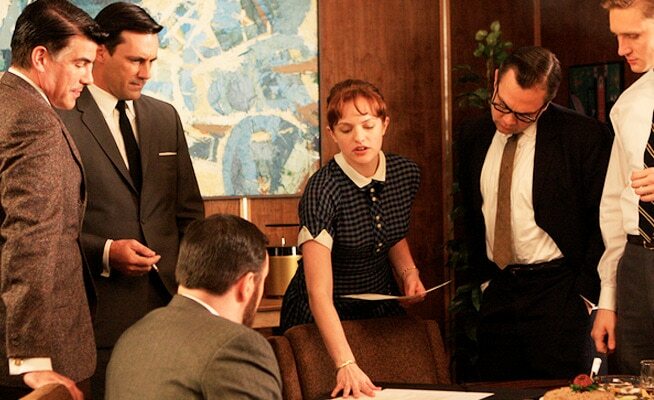 I love Don Draper as much as the next marketing nerd, but advertising isn’t Mad Men any more. (You might want to read that sentence again). Advertising is now about social media managers and media buyers working together to create optimized and engaging content, published in the right places to create touch points with the right audience. They should then use the customer data generated by these touch points to optimize their advertising machine, and then the process happens all over again. In an ideal world, digital advertising should be a well-oiled, lead generation machine. That’s the ideal of course. In reality, advertising is a messy process that involves a lot of stakeholders: the social media manager, the media buyer, and the digital advertising specialist to name a few. The challenge with making social media advertising work for your business is managing the mechanism efficiently across multiple social networks. So how can you create a social advertising machine that keeps your content engaging, your audience excited, and the leads coming in? The answer is simple. Empower the social media manager to take ownership of the advertising mechanism. With Falcon’s Facebook and Instagram Ads Integration feature, the social media manager can create an ad using an existing social post simply by clicking ‘promote’. Once the format is set up, Falcon integrates the ad seamlessly with Facebook Ads Manager or Power Editor, so the advertising specialist has full visibility. It can all be handled from one tool, and your brand’s content expert is fully enabled to promote high performing content. Promote is fully integrated with Facebook and Instagram. But where will my ads perform best? Facebook is undoubtedly still the premiere social marketing channel, but Instagram is forecasted to experience the highest growth. A recent survey by Forrester found that 32% of respondents plan to invest in Instagram over the next year. In short, if your brand isn’t advertising on Instagram, it should be, because it’s highly likely that your competitors are planning to. And why all this interest in Instagram? In Q1 of this year, consumer engagement with US brand pages on Instagram was up 108% from the previous year (it was up 32% on Twitter and 27% on Facebook). You can’t ignore that kind of growth. As an official Instagram Partner, Falcon Social has helped a lot of brands inspire their Instagram audience with great community management. We’re one of the first European social media management suites to be badged in Community Management in the Instagram Partner Program, and with 75% of Instagram users being outside the US, we’re working to help European brands tap into Instagram’s potential. So how can you make Instagram work for your brand? The primary Instagram demographic is 18-34 year olds, and 29% of online females regularly engage with the network. When UK department store John Lewis wanted to change their brand perception amongst females in this age group, an Instagram ad campaign seemed like the natural step. Eager to engage younger, fashion-conscious women, the brand partnered with some of the UK’s top fashion bloggers for a series of mini-fashion shoots showcasing John Lewis’s clothes. According to Nielsen, the campaign led to a 14-point lift in purchase intent and a 10-point lift in brand recall. And why? John Lewis used relevant content on a channel that generated high engagement from it’s target audience. Using influencers can also gave the campaign familiarity; which is key on Instagram because it’s new to the advertising game. Familiarity ensured users didn’t find the ads invasive. 75% of Instagram users are outside the US, so it’s the perfect platform for global brands. Targeted content that is optimized for local markets is key to getting a global Instagram strategy off the ground. Benefit Cosmetics set the standard for this when they recently entered ‘the millionaires club’ (brands with more than a million followers on Instagram). Benefit have successfully regionalized their content to suit their active markets; for example, their content in Asia focuses more around skin tints, whereas in the US it’s all about mascara. This has a led to a huge increase in customers coming into Benefit stores around the world with the intent to purchase products that they’ve seen on Instagram. Instagram’s ‘shop now’ button gives brands the opportunity to close the purchase loop. Users can now go from consuming content to purchasing products from a retailer’s website with just one click. In combination with Instagram’s high engagement rates, the ‘shop now’ button signals the opportunity for high sales conversions within the network. This makes it even more important for brands to nail their Instagram content strategy. This should involve empowering the social media manager to identify high-performing content, and arming him or her with the necessary tools to turn it into an ad campaign quickly and efficiently. 1,2 It’s Time To Separate “Social” From “Media”, Forrester, August 6, 2015.